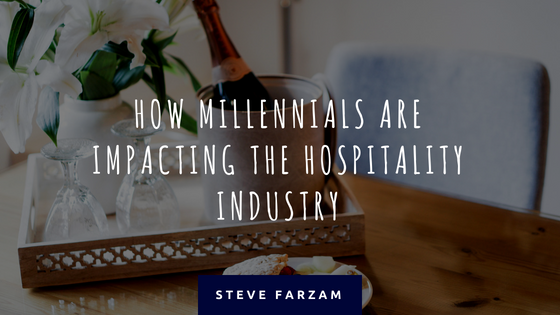 Millennials, those born between 1980 and 2000, are currently the fastest growing customers in the hotel industry and by 2025, they are expected to make up 50% of all travelers. With this generation comes the need for a tech-savvy, transparent environment, and the desire for connection. They have already begun to have an impact on travel and the hotel industry, in particular. They are looking for a unique experience that simultaneously meets their expectations. That being said, we can expect to see changes in the hospitality industry that appeal to this influential generation. Millennials grew up with technology, so it isn’t too surprising that the desire for a technology-driven travel experience is a must. Millennials are very likely to post the overall experience of their stay on platforms such as Facebook, Yelp, Twitter, and more. The convenience and seamless process of checking in and out on their mobile device is very enticing to millennials. The same goes for free WiFi – it’s practically expected for a hotel to offer a strong internet connection. In conjunction with technology, the notion of personalization for their stay is particularly enticing to millennials. Artificial intelligence is an ever-growing sector of technology, and hotels that provide smart rooms and AI personal assistants attract these travelers. Additionally, having the ability to personalize their rooms online so that everything is how they would like it when they arrive at check-in, will play a large role in the adaption of hotels moving forward. Millennials are also a generation that focuses on the environment and they will make their decision on which hotel to stay at depending on whether or not the hotel implements sustainable, eco-friendly practices. These travelers want to supply business to those that coincide with their own values. Some specifications that may contribute to their final decision of stay are sustainability programs for energy, water, and other utilities (like cogeneration), efficient waste management, and eco-building certifications. Maybe it is because they are so interconnected through technology, millennials are actively seeking meaningful, genuine experience when they travel. No longer content to spend the entire vacation laying by the pool, this generation is more likely to leave the hotel to interact with the local culture. Hotels that provide information to millennials regarding local nightlife, events, and more, are enticing to these travelers.